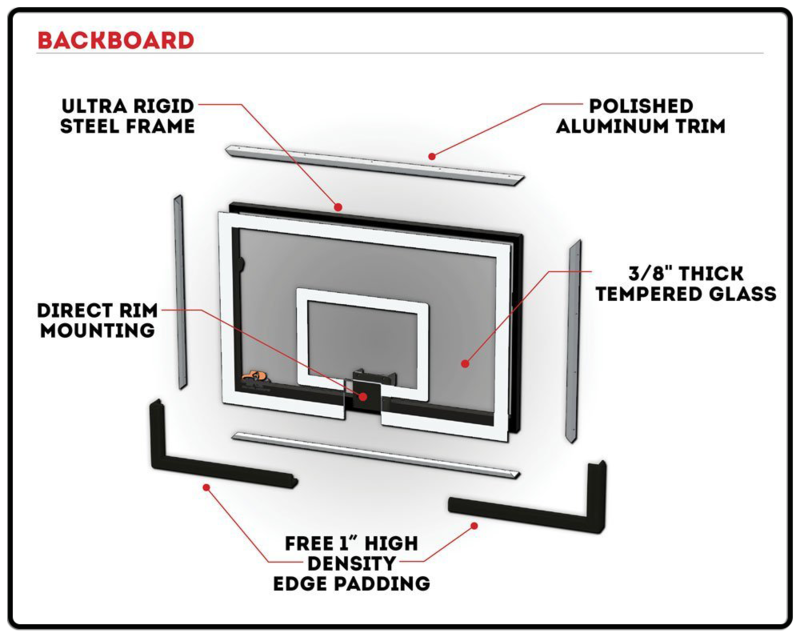 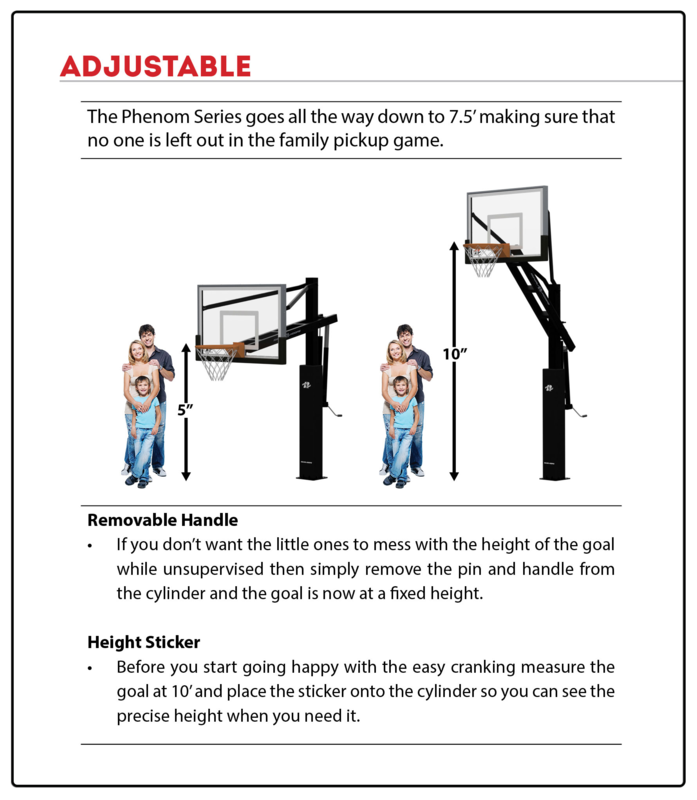 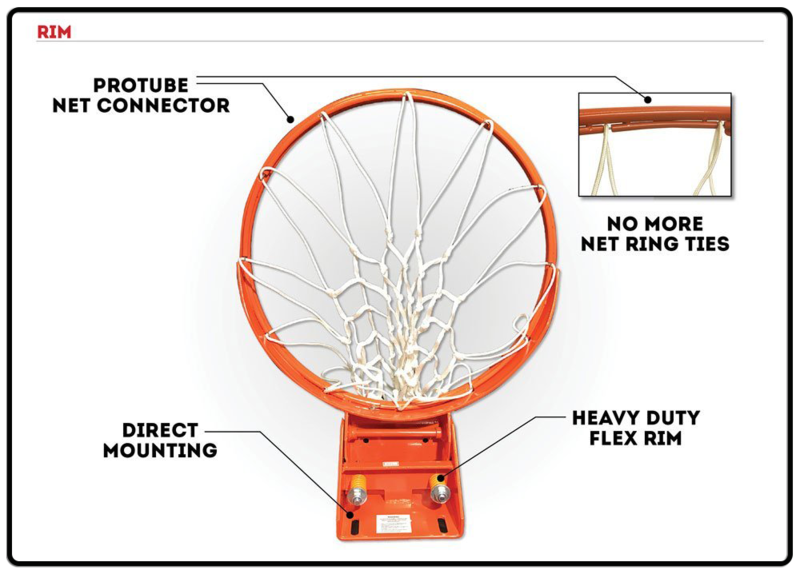 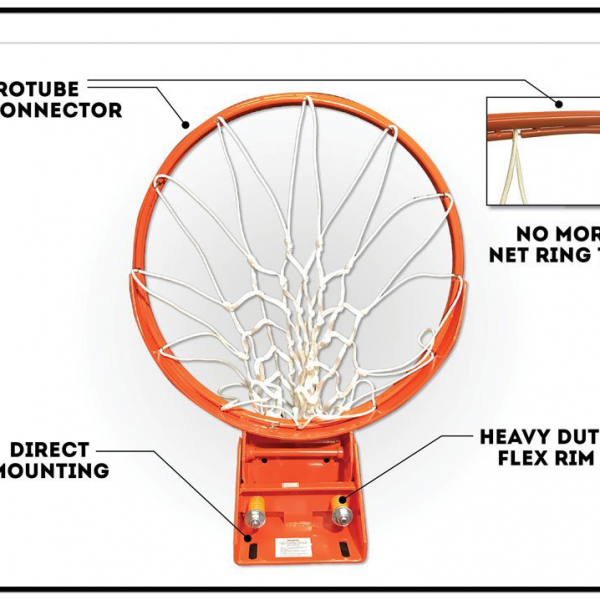 The Phenom X660 Clearview glass 60″ backboard eliminates the backboard frame out of the shooting square, giving it the arena/gym like look. 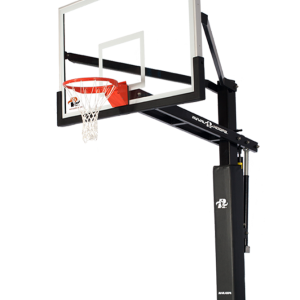 The X660 has the right blend of size, player features and price, makes it one of our most popular goals. 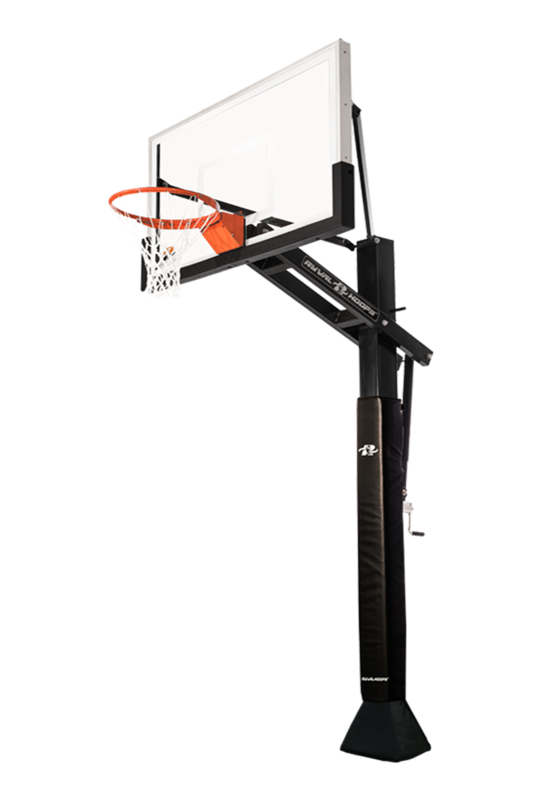 No additional accessories to purchase, it comes ready to play with backboard edge, pole & gusset padding. 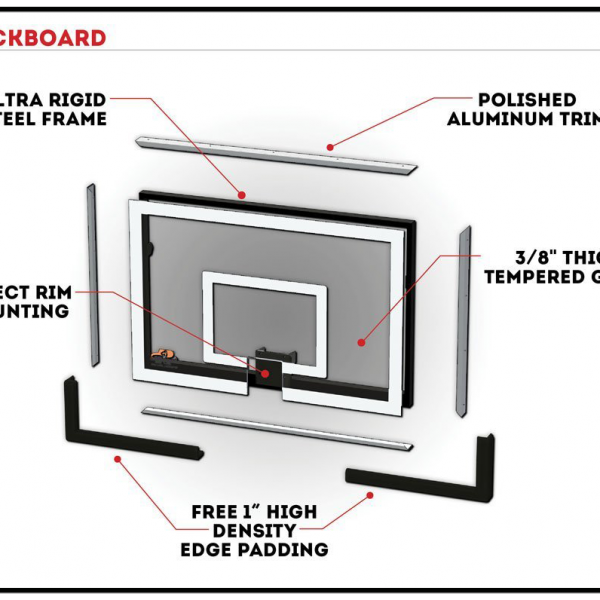 Adjustable range down to 7.5”, were younger players can work on proper shooting technique with lower rim height. 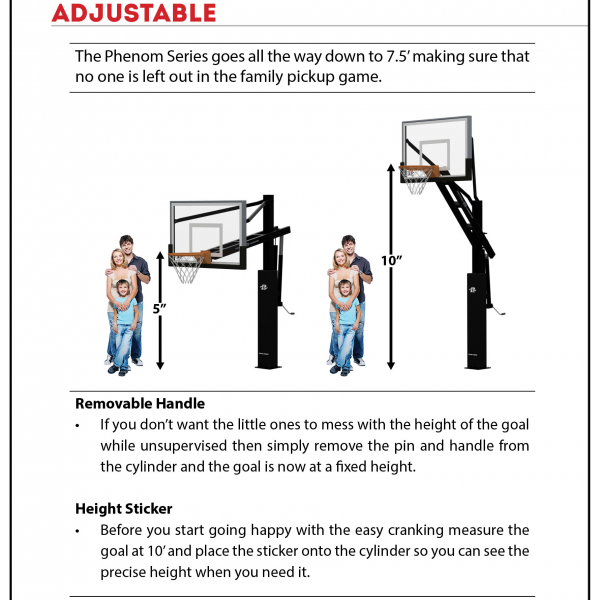 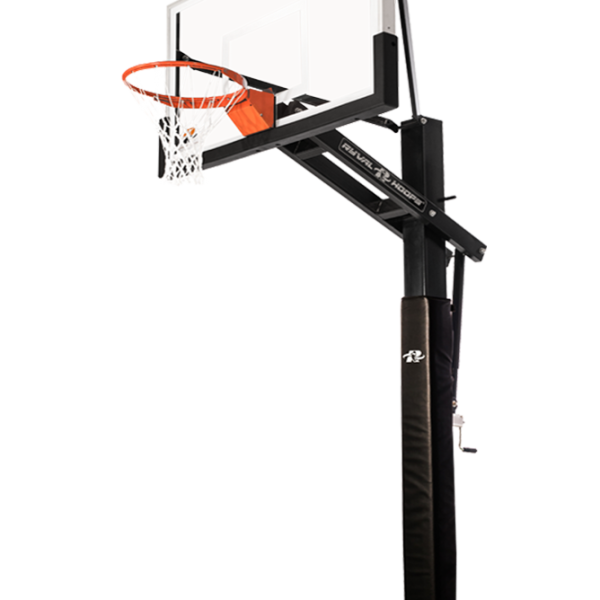 Category: Ryval Hoops Tags: Phenom X660, ryval 60"
The 11 gauge one-piece steel pole delivers maximum stability for gym quality rebounds. 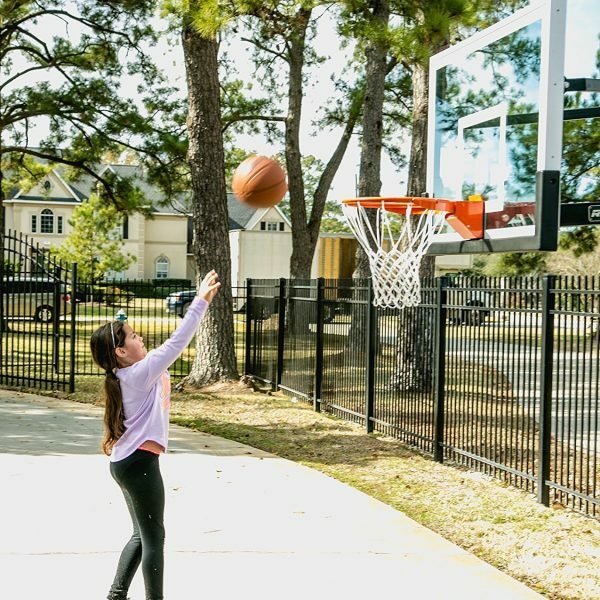 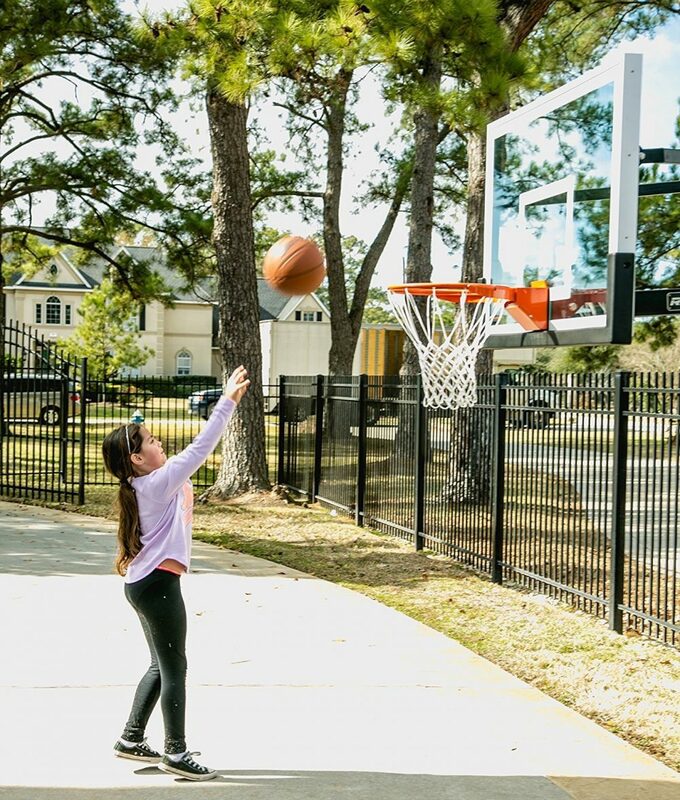 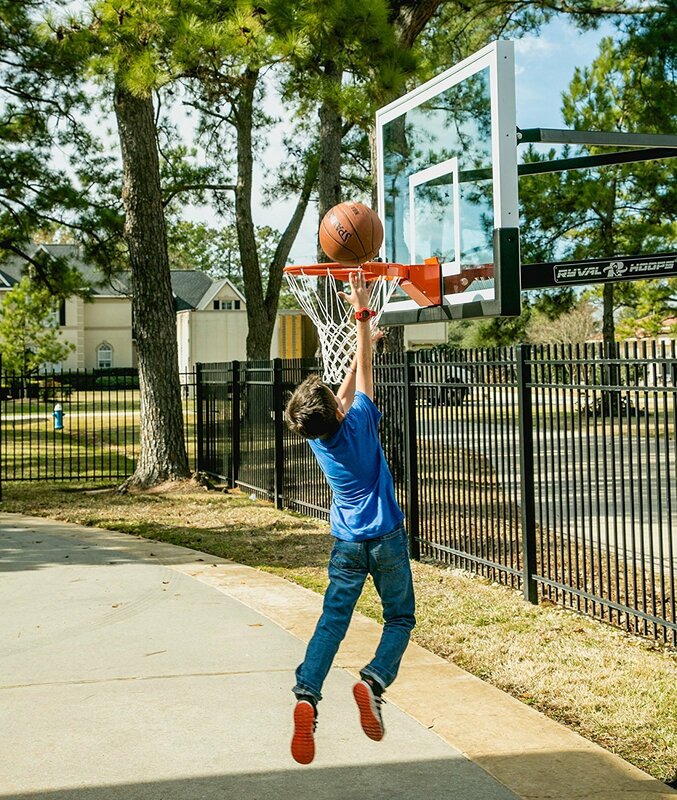 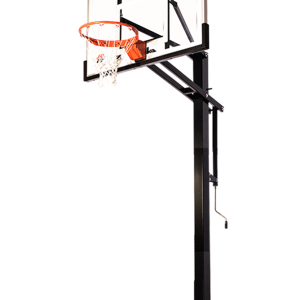 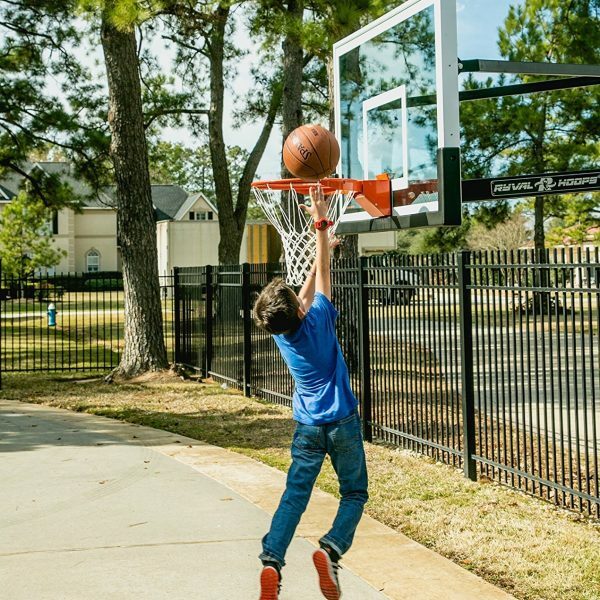 3/8″ Thick Tempered Glass Clear View backboard delivers a true gym quality bounce. 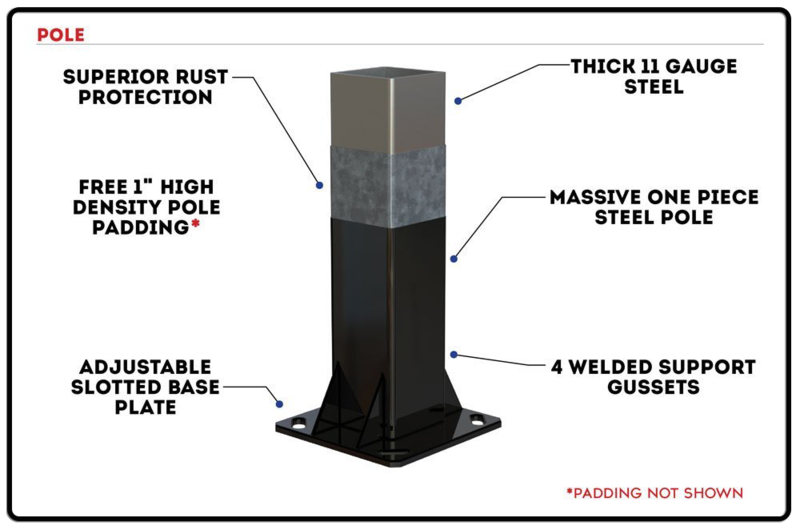 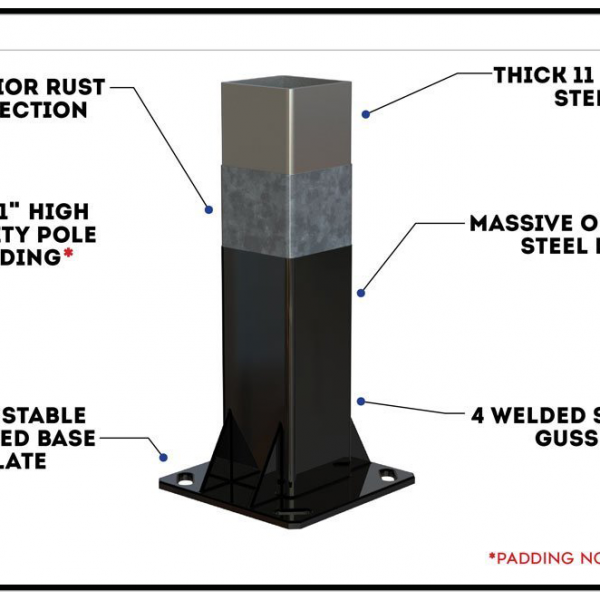 The pole is secured to the base plate with 4 gussets adding stability and reducing sway. 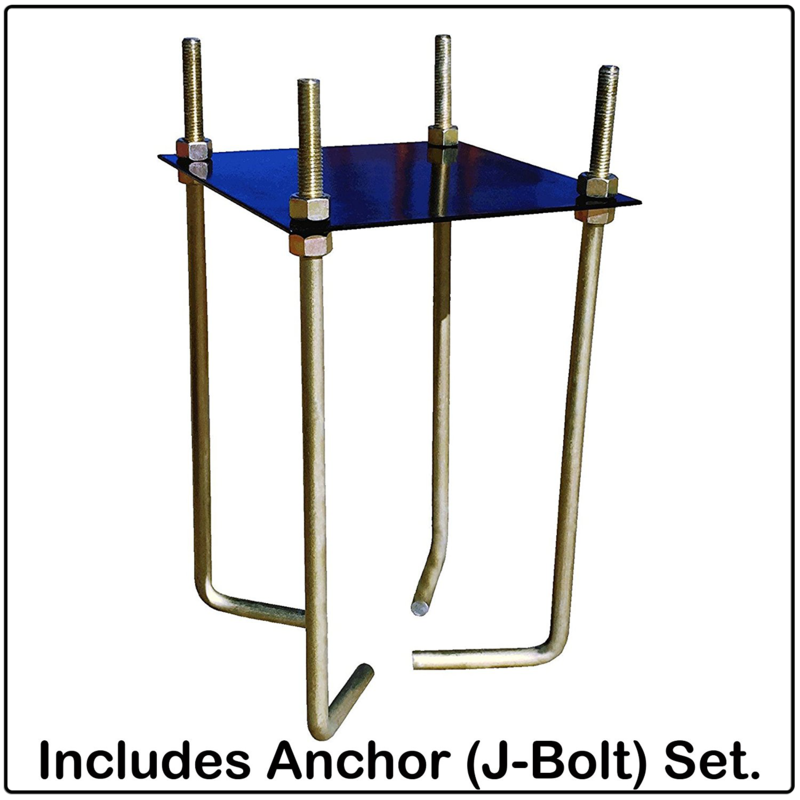 Regular actuator with gear box. Main Extension Arm 4″ x 2″ x 14 gauge (5/64″) steel thickness. 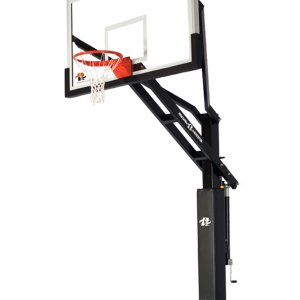 Two cross members.